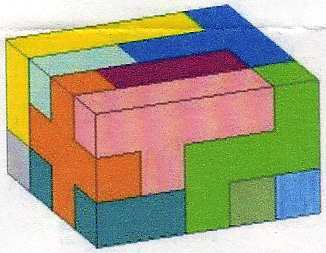 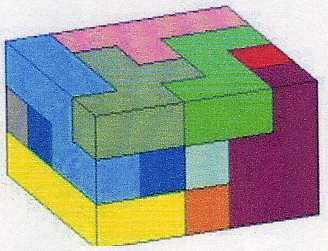 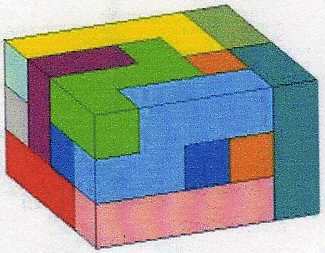 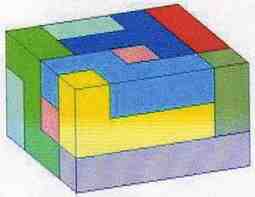 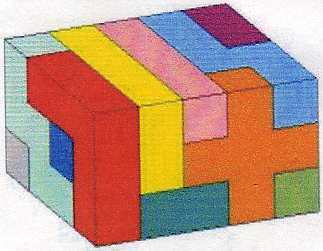 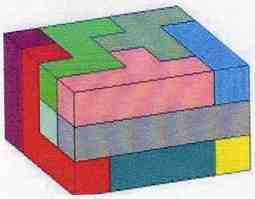 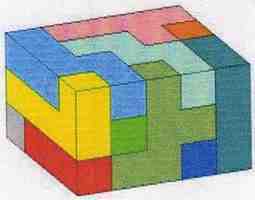 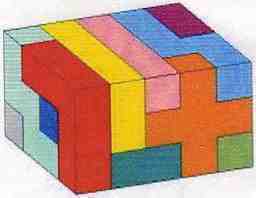 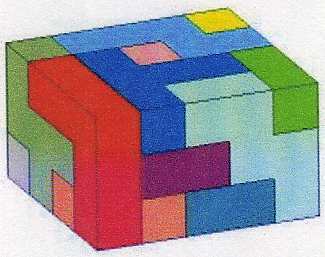 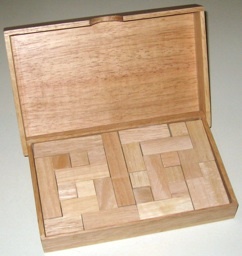 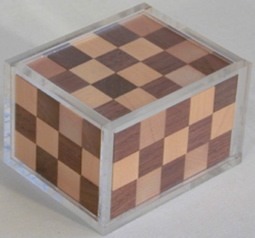 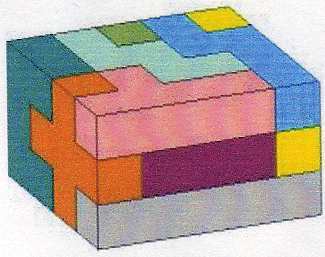 Old puzzle, this one made by Yasumi, 1995. 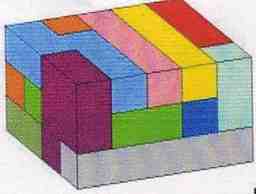 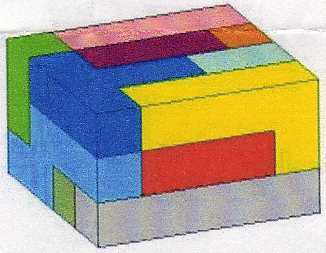 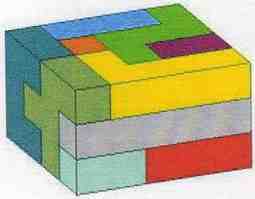 Total area is 60, and sizes 6 x 10, 5 x 12, 4 x 15, and 3 x 20 can be formed. 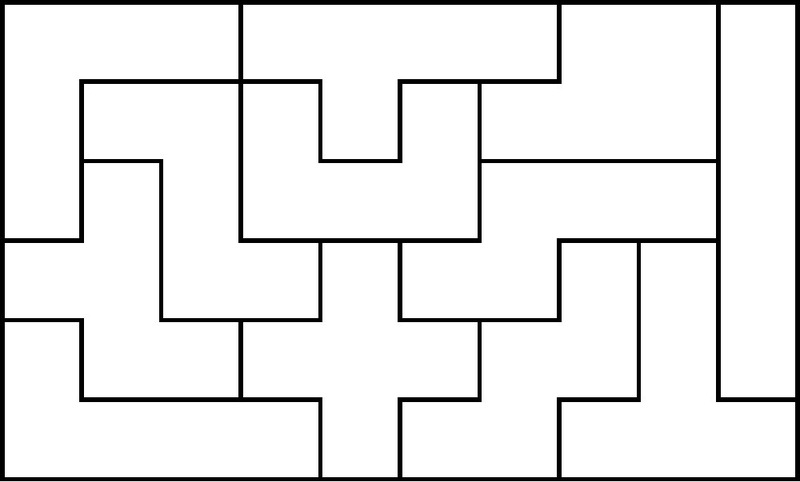 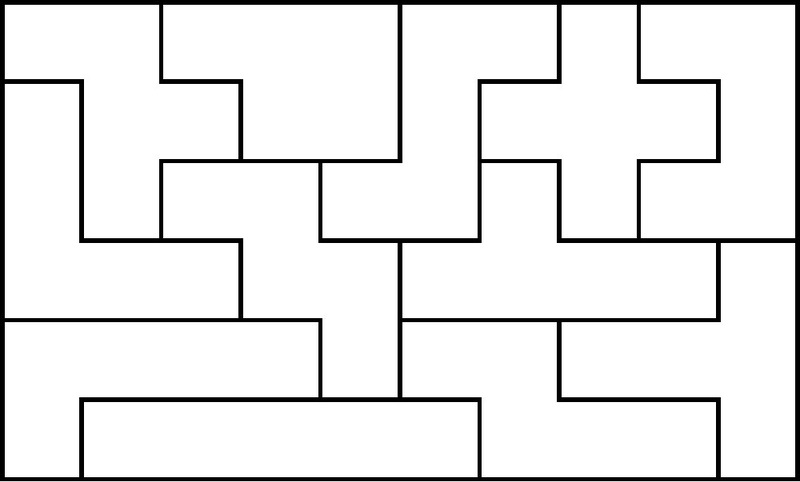 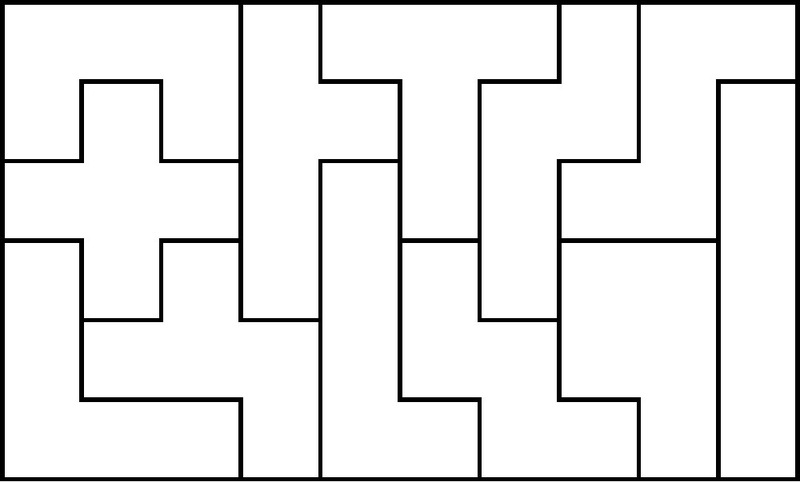 There are known to be 2,339 distinct ways to form a 6 x 10 rectangle, excluding rotations and reflections. 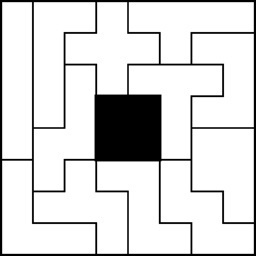 In contrast, there are 1,010 solutions for 5x12, 368 solutions for 4x15, and 3 x 20 has a unique solution except for rotating a central portion by 180 degrees. 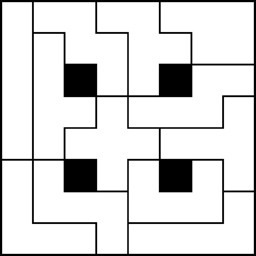 A piece is landlocked if it does not touch one of the borders of the rectangle. 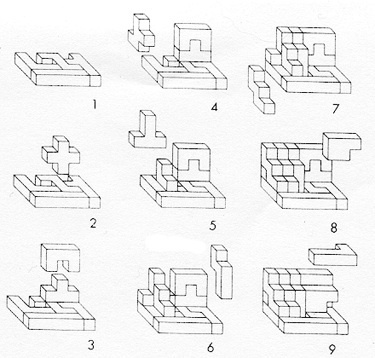 Eric Harshbarger has determined that there are no 6x10 rectangle solutions with 5 or more landlocked pieces, but there can be solutions with 0, 1, 2, 3, or 4 landlocked pieces (e.g., there are 207 solutions of the 6x10 rectangle with four landlocked pieces, 1,111 with three, 864 with 2, 155 with one, and only a couple with zero). 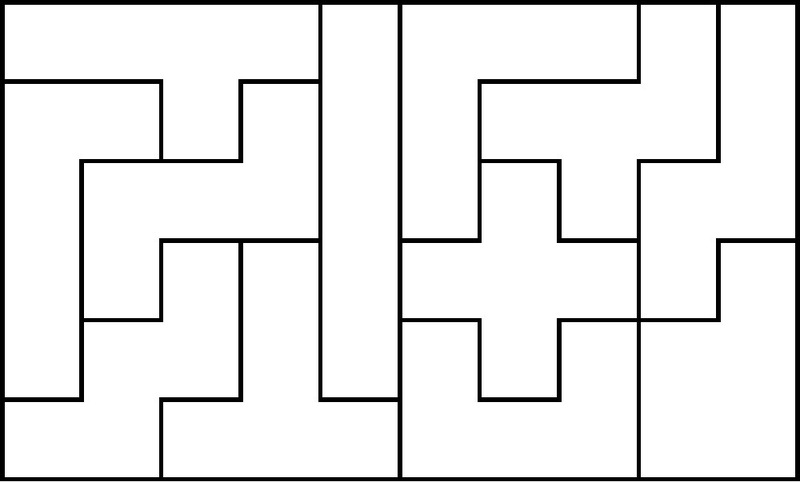 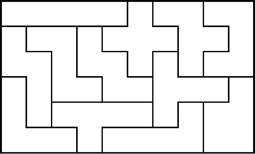 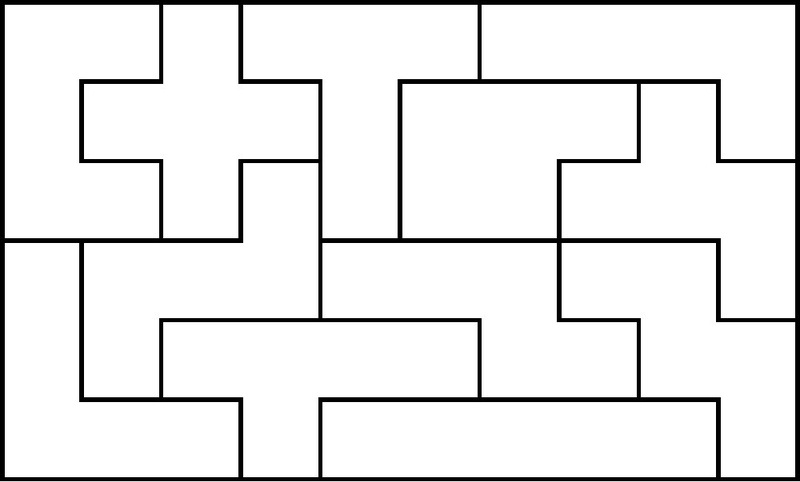 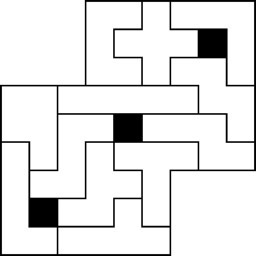 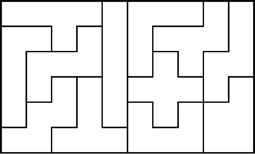 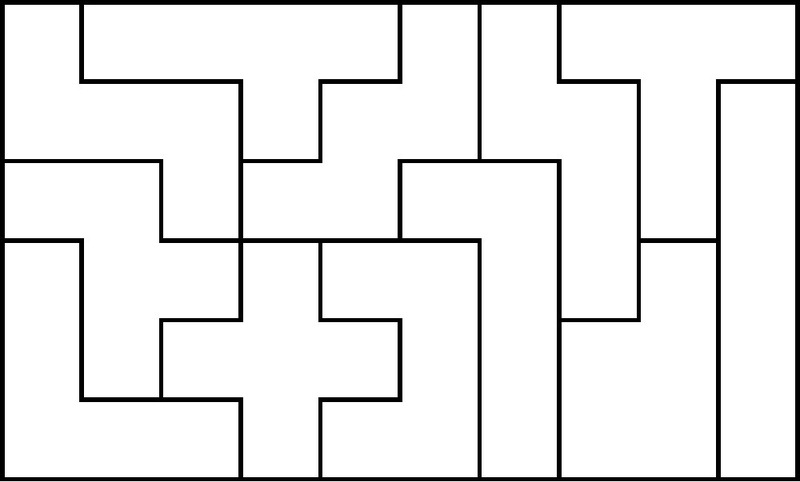 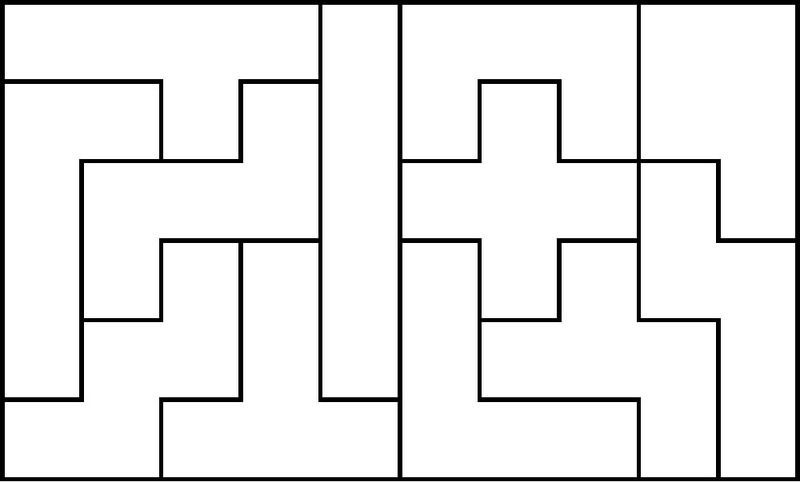 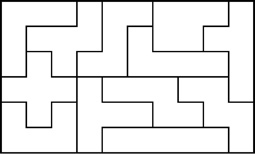 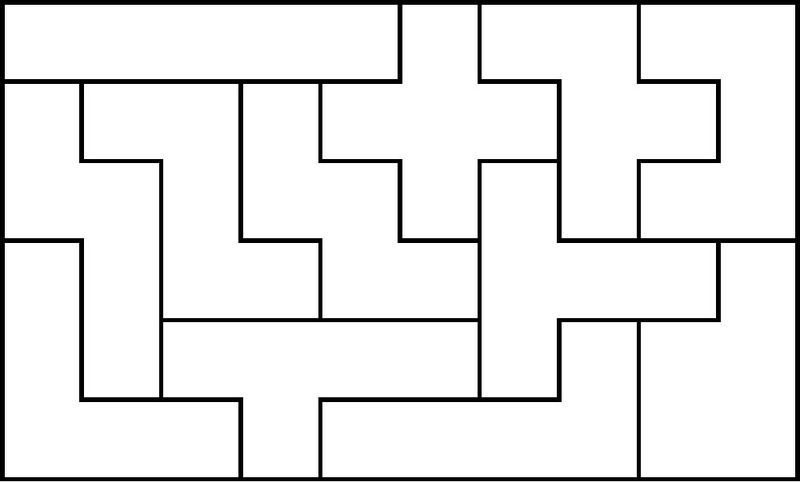 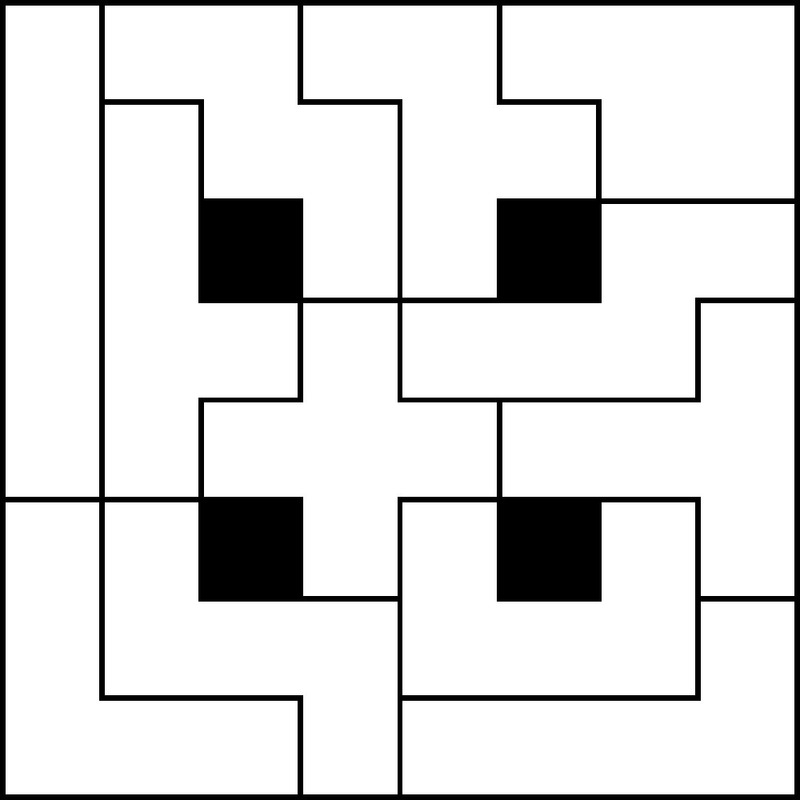 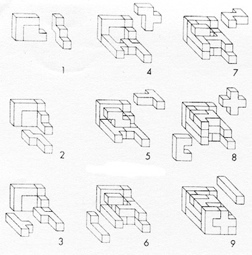 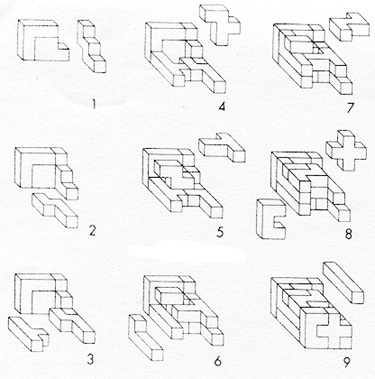 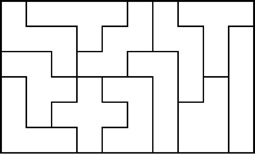 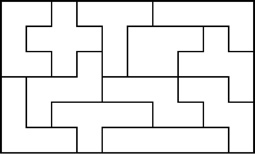 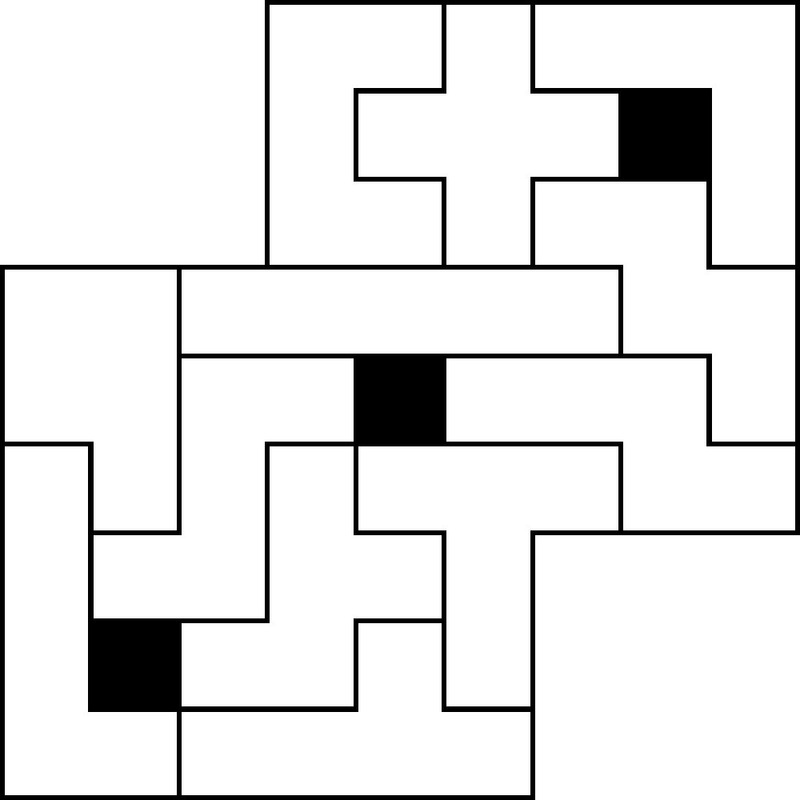 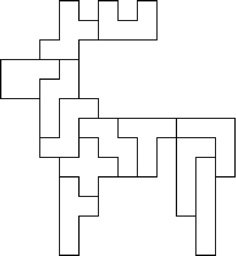 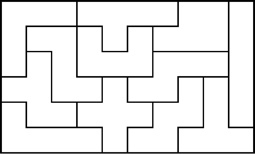 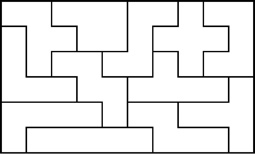 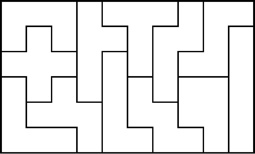 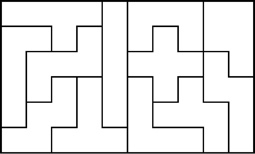 R. M. Robinson of the University of California at Berkeley proposed the "triplication problem": Given a pentomino, use 9 of the other pentominoes to construct a scale model, 3 times as wide and 3 times as high as the given piece (all 12 are possible). 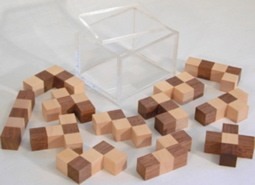 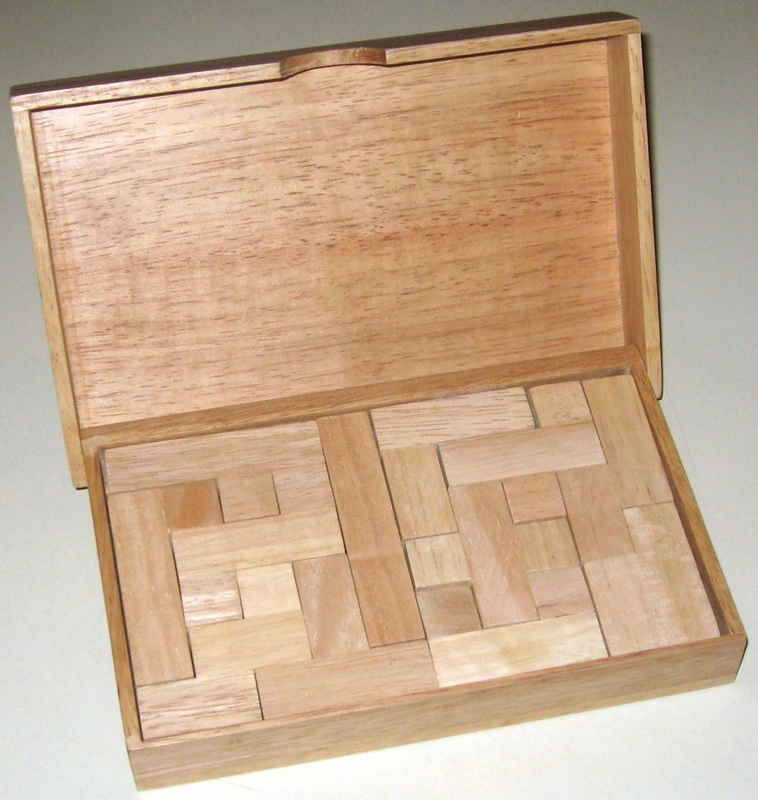 Pentominoes are traditionally flat pieces that can be arranged to form 2-dimensional patterns. 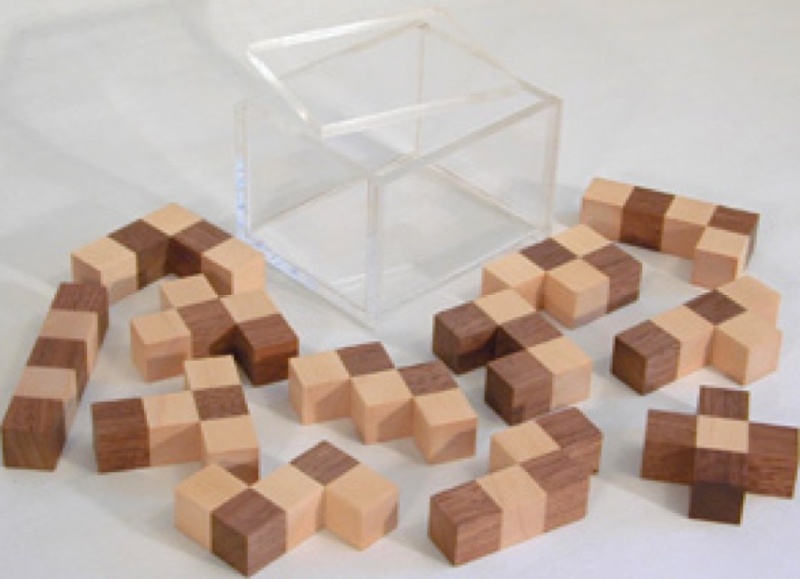 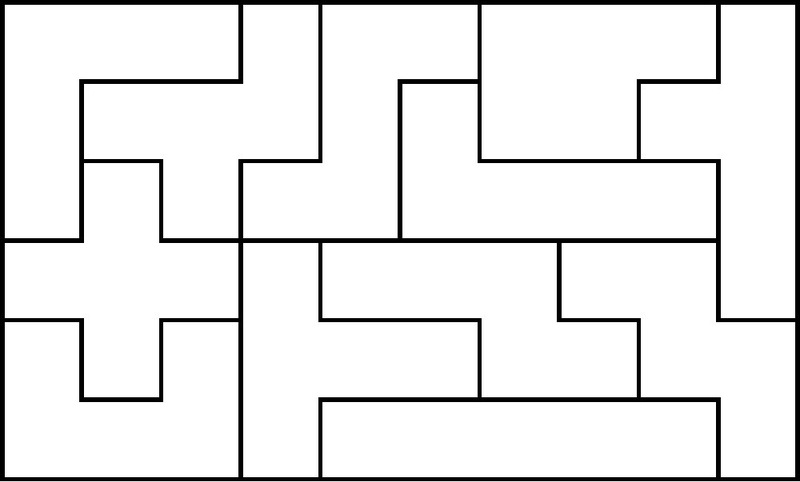 However, if the pieces are made to be 1-unit thick, then fun 3-dimensional patterns can also be made, including a 3 x 4 x 5 solid, and stairs that are 6 wide by 4 deep by 4 high. Made By B. Cutler, 1989.